Art [Links] People is a project concerning arts integration into the social environment and everyday life, publications and research. 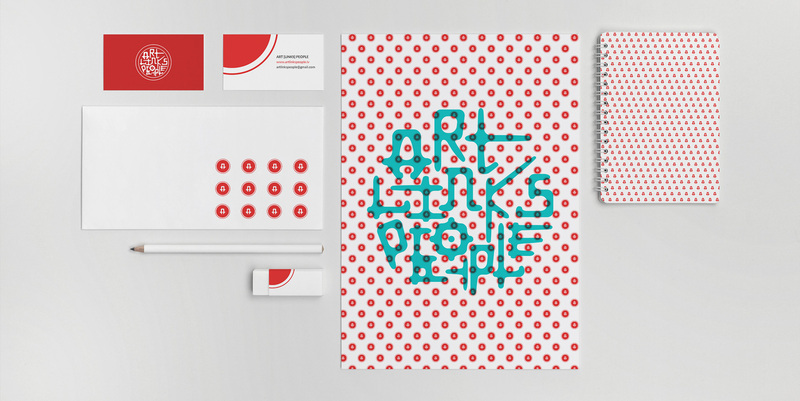 Create branding for Art Links People that transmits the legacy of art and the connection it has with people. Connection, art history and legacy were the keywords used during the research phase. After researching the subject of the human connection to art, I decided to use an idea based on old Japanese signature seal imprints on paintings. The seals were a way for people to sign their work which in-turn created an initial connection between the artwork and the maker. They were usually made of jade (although hard wood or precious metal could also be used), square in shape and were typically used with red ink or cinnabar paste. I moved away from the rectangular shape of the original seal signatures and used a circular shape instead. The circle symbolizes timelessness, the cycle of time and implies an idea of movement which was a better fit for the brand. The typeface used in the design is based on the Chinese characters used in the signature seal imprints.